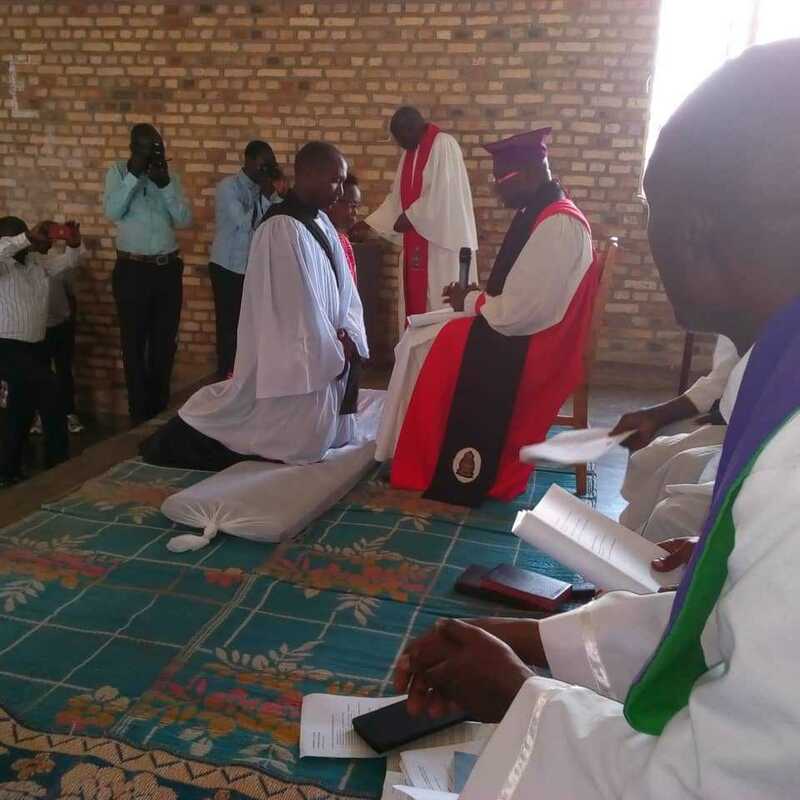 Today, December 2, 2018, the Diocese of Shyogwe ordained Jerome Bizimana as a Deacon. The ceremony took place in the Hanika Parish, where Deacon Jerome carries out his Pastoral Internship. The ordination ceremony was enhanced by the Presence of the Rt. Re. Dr. Jered Kalimba, Bishop of Shyogwe Diocese, the Retired Archbishop Emmanuel Kolini, Archdeacons, Pastors, Anglican Church Fellows and other Christians from all over the diocese. Jerome’s ordination ceremony coincided with the introduction of new members of Girls and Boys Brigade-a voluntary international interdenominational Christian organization founded on two pillars: Religion and Discipline. Boys Brigade trains boys to become physically, socially, educationally, spiritually and morally fit. It is a movement of boys from the age of six and above. The object of boys’ brigade is the advancement of Christ’s kingdom among boys and the promotion of obedience, reverence, discipline, self-control and all that tend towards a true Christian manliness. Concerning Girls ‘Brigade, it is an international non-denominational organization founded by the Sunday School Union in United Kingdom in the year 1893. It was formed with two pillars; Bible Study and Physical Training. The objective of Girls ‘Brigade is to help girls become followers of our Lord Jesus Christ through reverence, self-control and sense of responsibility to find the enlistment of life. 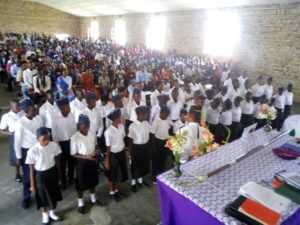 In the Anglican Church of Rwanda, Boys and Girls Brigade make one unit. Rev Joseph Hategekimana who preached the Word of God centered his preaching on Jeremiah 1: 1-10 and 1Timothy 3: 8. The central message was to urge Christians and Church leaders to never give up their calling despite the challenges they face, because God always promises to be with them. 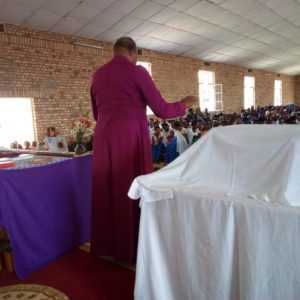 The message that was delivered by Retired Archbishop Emmanuel Kolini was based on the exhortation of young people to be attached to God and to respect each other. 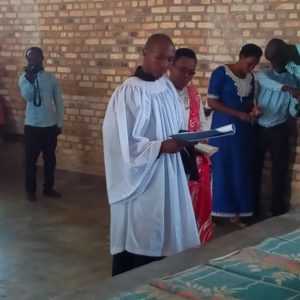 The Archbishop also urged Church leaders to be close to families and young people in particular because today Rwandan society is confronted with the problem of marriages divorces and early pregnancies among teenage girls. inka iba nziza bitese n’amata ikamwa. bityorero ubwiza bw’umuntu n’ibikorwa bye (mu itorero umuntu yahaboneraga umugisha none hasigaye Hari bamwe wagirango bawirukana kubandi) NB:uwakwifuza kumpumuriza abaye yumva yabifashwamo n ‘umwuka wera yambona kuriyi WhatsApp:0788689630 murakoze!